The enlarged group will be a Japanese national champion in pharmaceuticals and a leader in gastroenterology, neuroscience, oncology, rare diseases and blood-derived therapies, used for serious conditions such as hemophilia. 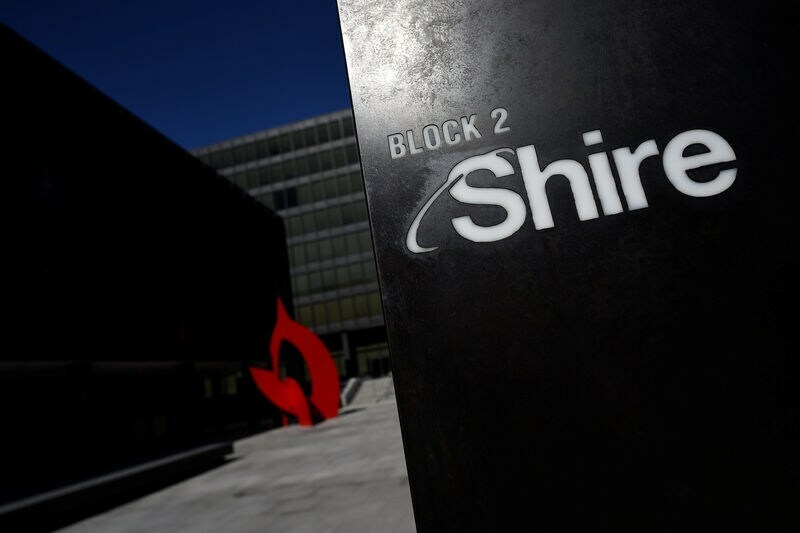 Shire has profitable businesses selling drugs for hyperactivity and rare disorders but the size of the deal will make Takeda one of the most indebted drugmakers, prompting Standard & Poor's to warn of a potential credit downgrade. Shire's shares were trading 4 percent up on the previous close at just over 40 pounds by 1230 GMT, still well below the agreed price and indicating that some uncertainty remains. "I think it is a good deal for Shire shareholders but not everybody may think that. However, the risk is that if shareholders vote this down then the shares are going to go down a lot," said Polar Capital fund manager Dan Mahony, who owns both Shire and Takeda stock. The deal must get the support of 75 percent of Shire's voting shareholders. While some of them do not want to hold Takeda paper, Weber told reporters he believed most would accept. "Their board and our board is confident that both shareholders will see the benefit of the acquisition," he said. Jobs will go, with the group's combined 52,000 workforce likely to be reduced by 6-7 percent. The companies have a number of commercial, research and manufacturing overlaps, particularly in the United States. Takeda said it would maintain its global headquarters in Japan and evaluate consolidating Shire's operations into Takeda's in the Boston area, Switzerland and Singapore. "The commitment to get down to two times EBITDA in three to five years really shows how cash-generative Shire is," said Polar Capital's Mahony. "There is 25 percent (of the portfolio) which is more isolated products. Some are doing very well, some less well. That's where you could have some portfolio assessment and potentially some disposals," Weber said. But it has been under pressure in the past 12 months due to greater competition from generic drugs and debt from its widely criticized $32 billion acquisition of Baxalta in 2016.